This is a car Mercedes will launch next year in Europe, a hybrid version of its best-selling E-class model. It’s a diesel. 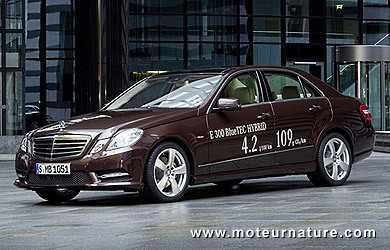 Its fuel economy promises to be its biggest selling point, so much that Mercedes is advertising it on the car: 4.2-liter per 100-km. That is with European testing, which is notably different from American methods. But this is the same rating the second generation of the Toyota Prius received. 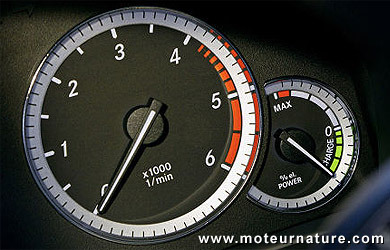 Many users got 50 MPG with it, in normal driving conditions. If this E300 Bluetec hybrid is as fuel-efficient, Mercedes will have a winner in its hands, because this is a much better car than the old Prius. In true German fashion, this hybrid is no slouch. This is a 150-mph sedan that can accelerate from 0 to 62-mph in 7.5 seconds. Not exactly sports car numbers, but still hugely better than the average Japanese hybrid. The secret is a diesel engine, but it’s hardly new. 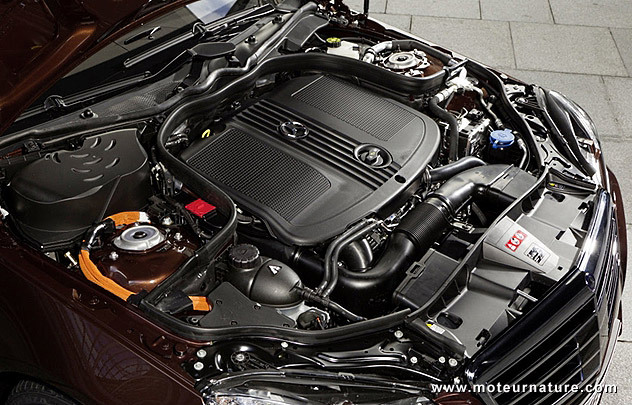 This is the engine from the E250 CDI, a 204-hp turbocharged 2.1-liter 4-cylinder. Mercedes didn’t changed it. It just made it better with the addition of a small 20-kW (27-hp) electric motor. This very compact motor fits nicely between the diesel and the automatic transmission. 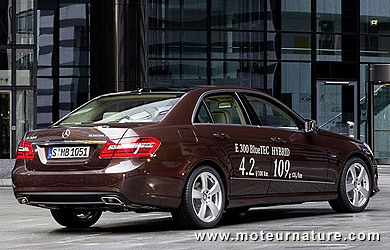 Many would have wished a bigger motor, but that would have required a larger battery, a higher price, and so on… The Mercedes E300 Bluetec hybrid has a very small 0.8-kWh lithium battery. It can go up to half a mile with the diesel shut off, but it will start as soon as the driver touch the accelerator. 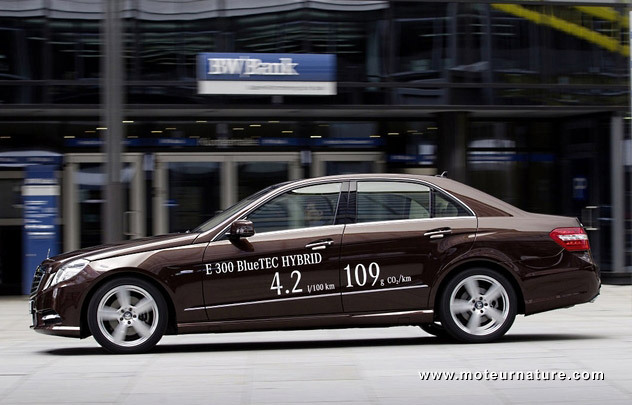 The Bluetec system may be more important, because it should enable the car to pass the most stringent emission test anywhere. This is clean diesel at its best. The car will be officially unveiled at the Detroit motor show, yet it may not be available in America. That would be too bad. Fast, comfortable, roomy and impressively well-built, it would be the best fuel-miser on the market.